Halfway through my graduate studies, I remember experiencing an intense craving for beautiful prose. I was training as a political scientist, and the texts on politics and economics, written by academics for other academics in a dry style favoring passive construction, began to make me listless. Respite arrived in the form of George Orwell’s essay “Politics and the English Language,” which remains one of my favorite pieces of writing–clear, concise, powerful. Beauty, of course, is in the eye of the beholder, or reader. When I think of the books that left the biggest impression on me, they are written in a crystalline clear style, poetic but without unnecessary embellishments. Beautiful prose to me is a harmony between substance and style. I don’t intend to compile a comprehensive list, merely a snapshot of my favorites today, but if I were to create an anthology of beautiful writing, Evelyn Waugh’s Brideshead Revisited (1945) would be one of the star contenders. Set before the Second World War, it is the story of one man’s infatuation with the aristocratic family and their world. There is passion, loss, betrayal and reflections on faith and religion. Waugh’s most introspective novel and also his most masterful, it combines beautiful writing with sharp observations on upper class society and its decline. The poet Emily Dickinson said of George Eliot that “this mortal has already put on immortality.” She was referring to Eliot’s Middlemarch, a novel that captivated its readers since it was first published in 1871. Eliot paints the lives within a provincial community, and the stories of her characters intertwine in a profound and moving drama. Eliot’s style is the most distinctive aspect of her novels, from the use of original metaphors to her ability to mock her characters’ pretensions. When the pedantic scholar Casaubon addresses his bride with a “frigid rhetoric . . . as sincere as the bark of a dog, or the cawing of an amorous rook,” we not only get a sense of his personality but also the foreboding of a marital wreck. Virginia Woolf described Middlemarch as “one of the few English novels written for grown-up people”, an observation that could easily be applied to Woolf’s own works. To The Lighthouse (1927), for instance, the story of a family holiday, has a remarkable intensity and depth. Woolf uses the uncomplicated plot to introduce observations on marriage, relationships, childhood and the complexity of perceptions. Woolf’s writing style has a hypnotic and undulating quality, often described as a stream of consciousness. In the hand of a less able writer, it would be unwieldy, but Woolf makes it soar. Literature in translation both loses and gains something, but I couldn’t limit my favorites to only English language literature. A skilled translator might bring a new dimension to a celebrated work, and it’s no coincidence that many great writers were themselves translators–Eliot specialized in works on German philosophy before she started her literary career. Jorge Luis Borges’s Ficciones (Fictions, 1944, English translation by Andrew Hurley) is one of the best illustrations that cerebral and entertaining need not be mutually exclusive. Borges draws upon a vast range of knowledge, from ancient Roman historians to medieval Muslim scholars and Chinese poets, but the sense of playfulness keeps it all in balance–or just off kilter enough. One of my favorite stories, “Pierre Menard, Author of the Quixote” is written like a book review in homage to a novelist who decided not merely to compose another Quixote, but to write the Quixote. Reading it you are never sure if this is meant to be the high brow stuff or a spoof, and the tension gives zest to the story. For instance, after quoting two identical passages, one from Miguel de Cervantes and another from Pierre Menard, the narrator comments, “The contrast in styles is equally striking.” Fictions also includes stories of a man who never forgot anything, the library that contains all books in the world, and the most unusual lottery. One of the first writers who captivated me with his prose was Nikolai Gogol. Gogol was born in a town close to my family home, and his descriptions of Ukrainian towns and the countryside in Evenings Near Dikanka reminded me of our Poltavan homestead. In different vein is The Overcoat (1842, English translation by Richard Pevear and Larissa Volokhonsky), Gogol’s finest work. It’s the story of a lowly copying clerk who goes through extreme deprivations to save money for a new overcoat only to have it stolen. Nobody responds to his calls for help, and after he dies of fever, his ghost walks the streets of the city stealing overcoats. A blend of surrealism, humor and grotesque, The Overcoat has been debated ever since it first saw light. What is it about? The story of a little man caught in the system? A condemnation of social injustice? A reflection on the dark side of urbanization? Successive generations of writers and literary critics interpreted it differently, but what remains indisputable is Gogol’s mastery. Loneliness and desolation find another, and a very different expression, in Yasunari Kawabata’s Snow Country, a love story between a wealthy Tokyo loner and a geisha from a remote hot spring (onsen) town. The relationship is doomed from the outset: Shimamura is a dilettante who while writing about ballet has never seen it performed, and this very fact makes the subject more enchanting for him, “an unrivaled armchair reverie, a lyric from some paradise”. 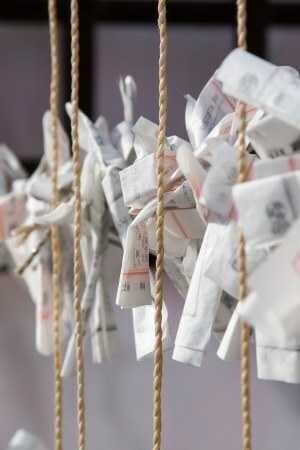 Komako is constrained by her circumstances as a geisha in “a cheap hot-spring town like any other”. The backdrop is the shadowy, isolated snow country. The love can’t last, and while Komako knows, she gives all of herself to it. 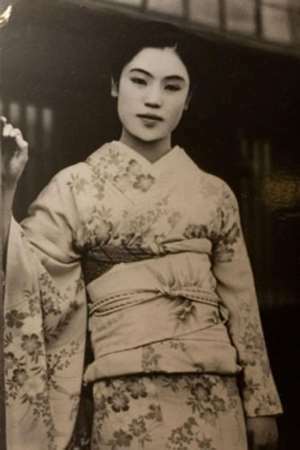 Kawabata based the character Komako on Matsuei (photo above), an onsen geisha he met in Yuzawa. 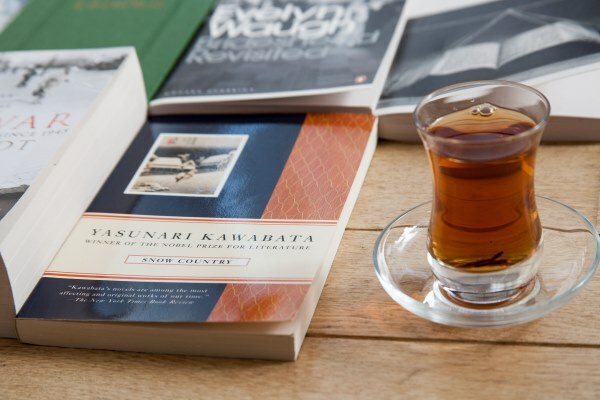 Snow Country earned Kawabata the Nobel Prize for Literature, and its lyrical, haiku-like prose is retained well in the English translation by Edward G. Seidensticker. Finally, for proof that academic writing need not be as dry as a sailor’s biscuit, I recommend Tony Judt’s Postwar: History of Europe Since 1945 (2005), or any other work by this late professor of history. Postwar is his grand oeuvre spanning the whole continent and six decades, while tying political and economic developments with cultural influences. The book is more than 800 pages long, but I finished it within a couple of weeks, mostly thanks to Judt’s engaging narrative and lucid, clear prose. I, in turn, look forward to reading about your favorite examples of excellent writing. For me the story and the style are so intertwined. I also like to write prose, hence one of my favourite books is a Mario Vargas Llosa’s Letters to a young novelist. There is a chapter consigned to how the choice of style must be a match to the story. I love Jorge Luis Borges’s works, especially the short stories, and magical realism in general. Isabel Allende’s House of the spirits for example. I’m currently rereading The Master and Margherita that I did not manage to finish at high school. I’m now mature enough to enjoy the irony of Bulgakov. I studied French and Hungarian literature at the uni, I’m fond of French authors, Flaubert and Francoise Sagan are my favourites perhaps. I also love Balzac and the short stories of Maupassant. So many good books are there to explore and reread! Nora Szekely: Jeez, another favourite is the writing of Alessandro Baricco. So restrained but beautiful, Silk and Novecento are my favourite stories. Victoria: I have a couple of Italo Calvino novels that I have been moving around with me since the days of my university Italian language classes, but I need to revisit them at long last. Re-reading books after a long hiatus is always such a revealing experience, both about the novel and yourself. maja: You’re in for a treat, Victoria! 🙂 The pages on Elisewin and Adams are just so beautiful. Regarding Calvino, his Difficult Loves is an excellent book, a short story collection, and then there’s the wonderful fantasy trilogy, as well as If on a Winter’s Night, a Traveller. You can’t go wrong. Victoria: Oh, then I hope I can take this moment to ask you, the expert, for the Hungarian authors recommendations? What are some of your favorites? Isabel Allende has been on my list for a while, but I haven’t yet read anything by her. Your comment reminded me that I need to do something about it, so I ordered The House of the Spirits. Thank you. Jirina: Alicia, I love “A Hundred Years of Solitude”. I think is the best novel in spanish that I´ve read. While I read it I felt like I was in Macondo. Alicia: Very wise, dear Victoria. I should follow your example. I looked up Hungarian works translated to English. From 19th century I recommend Mor Jokai : The Baron’s sons and Kalman Mikszath : St, Peter’s Umbrella. Jokai is romantic in language and plot, Mikszath’s style is dryer and that of anecdotes but equally good writers. There’s a play called The Tragedy of Man written by Imre Madach. It is a very complex drama about mankind’s development, passions, dreams and desperation, it’s so universal, I really wish that more theaters played it around the world, but it’s also a pleasure to (re)read. From 20th century I love Gyula Krudy’s works, a real hedonist whose description of meals and other earthly pleasures is sensational. I recommend The Adventures of Sindbad, a string of episodes from the life of a man in the first half of the century. I also love Dezso Kosztolany, his poetry and prose are equally lyrical, my favourite novel is Nero the bloody poet set in ancient Rome during the turbulent time of emperor Nero. I recommend anything from Magda Szabo , (especially The door) Sandor Marai and Antal Szerb. Patricia: What a welcome subject, Victoria! Although I’ve read and loved all of the British works mentioned, I haven’t read any of the others and look forward to doing so. My additions on the Brit side would be Kazuo Ishiguro, The Remains of the Day and Ian McEwan, Atonement. On the US end, I would recommend anything by John Updike, a master of the written word if ever there was one. The Rabbit series would be a good place to start, though his critical works are also excellent. F. Scott Fitzgerald paints a picture of expatriate Americans in his autobiographical Tender Is the Night. Elizabeth Strout is a contemporary writer, and so far my favorite of her novels is Olive Kitteridge (for which she won the Pulitzer Prize), a collection of episodic start stories set in coastal Maine. Victoria: It’s funny, I’ve never read F. Scott Fitzgerald in English, only in Russian, and that was many years ago. I was considering including Hemingway, but while objectively I can see that he’s a great writer, I just don’t count his novels among my favorites. I did go through a period when I read all of them. Alexandra Star: I have recently read ‘Ink & Honey’ by Sibyl Dana Reynolds. It is the story of ‘a sacred journey through the medieval French countryside with the sisters of Belle Cœur, a community of radically independent healers, visionaries, mystics and artisans who live by their wits and their prayers.’ Reynolds finds her way to form clusters of intoxicating word bites that just fall off her tongue in bubbling descriptors of what was going on with her characters in the French landscape. spe: Isn’t it a luxury to have time to read? I find that my life has less opportunity for this basic pleasure. My reading consists mostly of professional material lately. Michaela: Alicia, how lucky you are!!! You have met Jorge Luis Borges in person and learned English Literature from him! What an unforgettable experience! I am also happy Victoria likes him. Victoria: What an incredible experience it must have been? What was he like as a professor? I’m writing down all authors from the comments whose work I haven’t read, and while look up Julio Cortazar, I realized that his story was the basis of Antonioni’s film. I remember seeing it with my dad when I must have been barely 5! Victoria: Have you ever read Rabindranath Tagore? I like his short stories and novels like The Wreck, Binodini, Home and World (forgive me if my translations of the titles are off; I only read his work in Russian.) Powerful portrayals of female characters, social problems and beautiful language. Victoria: Now that’s fascinating, and I love discovering these kind of connections. Victoria: Which films are your favorites? I saw Binodini with Aishwarya Rai, but I don’t remember it well. SilverMoon: Victoria, there was no reply button on your comment, so clicked on mine. Kathy, Bloomington, IN: Thank you for sharing your memory of being in Mr. Borges’ class. I think it is wonderful that he just taught what he liked! I only read English, and don’t know much of his work, but I never forget coming upon The Lottery in Babylon and realizing that it was a joy to read, whether or not I was “getting it” at every level. Cornelia Blimber: Vanity Fair is by Thackeray. Dickens could never write such a nasty book. I tried to read it, but no…to much vinegar. But you are right. Dickens is one of the greatest. I think of all his works. Victoria: A knight’s move thinking comment–Kathy mentioned Thackeray, and I thought of Dickens’s novels and the one I particularly enjoyed. SilverMoon: Yes, A Tale of Two Cities is excellent. Among the lesser known is Martin Chuzzlewit and it really is a great story. I was also slow to liking Dickens. The stories are always great, but often too long drawn. Of course, I understand it when one is being paid by the word/page. maja: Alicia, you must be full of wonderful stories and anecdotes. Ernesto Sabato and Llosa, wow. I am going to look for Alberti’s poetry then. Pls share more stories. Victoria: In one sentence you’ve mention the people I very much admire. One of the CDs I have taken with me whenever I was away from home for more than a couple of weeks is Pablo Casals’s Cello Suites. Victoria: I liked his Homage to Catalonia very much, and of course, 1984 is brilliant. Austenfan: Donkeys live a long time, none of you has ever seen a dead donkey! limegreen: What wonderful reading suggestions from everyone! Treason by the Book, The Memory Palace of Matteo Ricci, God’s Chinese Son, just to name a few. Victoria: That would be Frank Pepe Pizzeria, and yes, that was the story. limegreen: Thanks for the recommendation! Nora Szekely: You made me curious, I read some not so good fan fic but am always eager to explore more. Nora Szekely: It will be held in Palace Festetics. We will dance several dances from late 18th-early 19th century, we will have supper and entertainment (musicans and singers). Dress code is between 1780-1825. I’m part of a reenactment group (dancing, acting and entertaining), those of us who are going will have dresses made for us by a dressmaker. I really feel like a heroine from my beloved books, only I cannot decide how to dress. Should I dress like a debutante at the tender age of 35 or go for a fully grown up look. I think I’d prefer something elegant but simple, in white or in pastel, a dress that can be equally worn by the demure or by the accomplished grand dame. 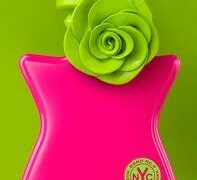 limegreen: More importantly, what PERFUME will you wear?! I love the idea of a ball, how wonderful to have a “dressmaker” make one’s ball gown! Nora Szekely: It’s even tougher to answer. I’d like to go for a scent that contains elements used in the 19th century. I’m great fan of musk, rose and violet. I also love incense and patchouli. An interesting fact/gossip I read from that era: empress Josephine, first wife of Napoleon, wore musk scents as her favourite. When she was “replaced” by empress Marie Louise, who preferred delicate violet, as revenge she scented her rooms heavily with her beloved musk before leaving the palace. I will definitely try to go for some more traditional smelling scent, not a modern composition but something I enjoy weraing, to crown the night. This will be too strong for your ball but Lutens L’Orpheline is my latest favorite of incense and patchouli. It’s cloudlike unlike other incense perfumes I have. If you’re doing the Austen thing, maybe it has to be more of an English aesthetic, something like Jo Malone or Jo Loves (harder to find), or Penhaligons? These are kind of boring though! limegreen: Hi Kari — Well, Joan Aiken was writing these books before “fan fiction” existed as a real genre. She also continued stories about minor characters from Sense and Sensibility, Northanger Abbey, etc. Not all of it is great, and what she did with the Jane Fairfax “secret story” was try to tell Jane Fairfax’s side of the story and explain Emma’s dislike of Jane. Kind of fun. mj: I haven’t read that Orwell you were talking about, and as I enjoyed Animal Farm, The Road to Wigan Pier, Hommage to Catalonia and 1984 in the past, I will look for it. mj: Thanks for the recommendation!. I’m not familiar with this author, but sounds very interesting. I’m going to Vienna in Easter, maybe could be a good introduction to Imperial Austria. Michaela: The only book I read from your list is ‘The Overcoat’. And I return to this one now and again, I’ll never get tired of reading it. Michaela: I’d recommend O. Henry short stories, at least ‘The Gift of the Magi’, simple and very touching. Victoria: How much do I love that story! Michaela: I remember that one, too! So touching! Victoria: Judt was incredible. Even when he was completely paralyzed and couldn’t even hold a pen, he continued working, dictating to his assistant. The Memory Chalet was written this way, and it’s a beautiful, heartbreaking memoir. irem: Poetry in prose is Antoine de Saint-Exupéry’s “Wind, Sand and Stars” to me. Even the name is poetry: Wind, Sand and Stars (or the original French title: Terre des Hommes). I have read it countless times (22 years, four translations in three languages, sadly never the original, but I would love to learn French if only to read Exupéry). It never fails to move and deliver peace, reading a few pages fills one with the wonder of life: the story of Guillaumet trapped in the snow of the Andes, the story of Exupéry himself trapped in the Sahara, almost dying from thirst and many others. It is not just the subject, the grand adventures, though, but the little observations into the essence of men (or women) delivered so poignantly. The book ends with the single sentence “Only the Spirit, if it breathe upon the clay, can create Man.” and the whole of it explores bits and pieces of this spirit which makes us a (hu)man. Needless to say, I love it. Writing this makes me want to read it again: put on a few drops of Guerlain Vol de Nuit parfum (possibly inspired by association, another Exupéry book, but I find it matches the mood perfectly), find a cup of tea and a cozy place to curl in and get lost in the beauty of the prose. Karen 5.0: Another thought-provoking post, Victoria! I echo the sentiments of you and your readers with regard to beautifully-written books. I would like to add these to your list because of both the exquisite prose and the story: The Incarnations (Susan Barker); The Small Backs of Children (Lidia Yuknavitch); At Hawthorn Time (Melissa Harrison); The Spiral Staircase (Karen Armstrong); The Unbearable Lightness of Being (Milan Kundera); The Year of Magical Thinking (Joan Didion); both The Emigrants and Austerlitz (W.G. Sebald); any and all Thomas Hardy, Jane Austen, George Eliot, Henry James, and Edith Wharton; All the Birds, Singing (Evie Wyld); and Speak, Memory (Vladimir Nabokov). Karen 5.0: You’re more than welcome! I would love to know what you think of these books. Victoria: I think that if you open any academic journal, no matter the discipline, you’ll find the same lack of interesting prose. But science is also not devoid of good writers. Einstein is a genius all around–as the current discussions of gravitational waves are proving again and again, but his work is also a great read. He uses such original metaphors and interesting examples. Primo Levi’s The Periodic Table is one of my favorite science books. Michio Kaku’s Physics of the Future is terrific. Neva: First of all thank you all for your lovely suggestions. I will write them down and use as a guide for further reading. Victoria: I agree on Thomas Mann, and I especially liked The Magic Mountain. I need to read Buddenbrooks, though. Austenfan: I don’t know how well it has been translated, as I read Death in Venice in German, but it’s stunning, as menacing as the film. Austenfan: I think it improves on the book. The only casting I didn’t really enjoy is Julia, apart from that they were spot on. Austenfan: I read it over 25 years ago, so I might not enjoy it today. I can see why you might not wish to spoil the images you have of Brideshead by the TV series, but having enjoyed it myself so much at the time and every single time that I have watched it again, I tend to be a bit zealous about urging other people to watch it too. Victoria: The best way to find a name, and what a beautiful one it is. rainboweyes: I love your book posts, Victoria! They are always so inspirational. If only I had enough time to read all these beautiful recommendations. Victoria: Have you read Turgenev’s Notes of a Hunter? Now, I don’t know how the English translation holds up, but the original is beautiful. Kelly: Lovely post as always, Victoria! I was an English major for undergrad and I’m finishing my last year of grad school in social policy (US) — let me say it was rather a shock to read such wonderful works by Updike and Wharton and Eliot and then come to the rather dry and academic science writing (writing from a humanities (MLA) perspective is so much better than science (APA) writing! I digress…). Plus I am rather obsessed with the current state of American politics right now and the s***show that it is — I’m sure you have much to offer in that regard, but since we are talking about beauty…. Wharton and Wharton. Eliot. Updike. I think the Age of Innocence and The House of Mirth are two of my favorites. Rabbit, Run. The Mill on the Floss breaks my heart — I prefer Eliot to Austen (although Austen is good, too). And anything Fitzgerald. Victoria: I know I must have mentioned a million times on this blog, but The Pillow Book by Sei Shonagon is a gem. Kari: It really is a multilayered book. I read it for the first time in 2014.
rosiemay: Thank you Victoria, for this rich and inspiring article, and everyone for such diverse and intriguing reccomendations, some that i know and love, and a great many i look forward to reading , exploring in the future. Victoria: I also enjoy how diverse the recommendations are, since all of us have different backgrounds and come from different places. All of you open my horizons so much. Thank you! SilverMoon: Thank you Victoria for your lovely words that inspired so many suggestions and ideas. Wish I had the time to read even a small part of the many books listed here. I agree/second many of the writers listed: Gogol, Calvino, Eliot, Orwell, and so on. I thought I would add one that has not been mentioned (and that I really loved reading, especially when I was in my 20s): Thomas Hardy. My favourites were Jude the Obscure, Far from the Madding Crowd and Tess of the DUbervilles. Beautiful writing, lovely stories. Victoria: Thank you very much, and I appreciate your suggestions. A reminder to read Pablo Neruda is timely. Barbara Kingsolver is an author who rarely fails to draw me into her characters’ world with her words. The Poisonwood Bible is probably her most famous, and I love it, but The Bean Trees is my favorite. I love George Eliot’s way with language. Middlemarch was a difficult read in spite of, or perhaps because of, how well written it was – it made me feel as lost and isolated as many of the characters are until I reached the end. For nonfiction, I’ve been enjoying delving into Stephen Hawking and Jane Goodall’s writings for the first time. I also read Rachel Carson’s Silent Spring years ago and was captivated by how carefully chosen each word was. Eudora Welty’s writing also evokes time and place, and makes me think of my grandmother. Kari: I know Bleak House was mentioned above; I adore this novel, and also Little Dorrit. Elizabeth Gaskell’s North and South is very much worth a read. Nora Szekely: For non-fiction I also love Stephen Hawking. His books break down physics to a level understandable for a wider audience. Victoria: So many interesting ideas! I can’t agree more with you on Silent Spring; Carson structured the book really well, and the conclusion is all the more frightening. Plus, the evidence is well used to support her argument. meg: What a great thread, and such fantastic recommendations! The poetry in prose category is a wonderful one, and I love so many of these, and just picked up new ideas, so thank you. If and when you are in the mood for smart, funny, and often dystopian, I’d like to offer the perfect book: Karel Capek’s 1936 War with The Newts. Brilliant, satirical, and an influence on Orwell, Vonnegut and a slew of others, Capek is a writer I’m always urging on others. And the American George Saunders. Eric: I came in to say I have the same copy of “Snow Country.” I love its hopeless, quiet nature, though I will say I vastly prefer the semi-fictional Master of Go, despite having a slight ham-fisted theme. I also love his Palm-of-the-Hand stories, which are little morsels of storytelling. Victoria: I also love the Master of Go, and the part where he writes that “Everything had become science and regulation” is unforgettable. I have a translation by the same author, and it’s very good. Eric: Sadly my brain does not retain languages easily. I can speak very very basic Japanese, despite having taken chadō lessons for years. Even though I would love to devote more time to learning it, I really should be learning French for my further education. Sadly I don’t find French as beautiful as Japanese. I read Seidensticker’s translation of Tale of Genji after I struggled for months to wade through Royall Tyler’s translation. I do not have fond memories of Tale of Genji, nor did I particularly care for the actual story. I’d much rather read The Pillowbook of Sei Shōnagon for a glimpse of Heian life. ““There are times…when we are in the midst of life-moments of confrontation with birth or death, or moments of beauty when nature or love is fully revealed, or moments of terrible loneliness-times when a holy and awesome awareness comes upon us. It may come as deep inner stillness or as a rush of overflowing emotion. It may seem to come from beyond us, without any provocation, or from within us, evoked by music or by a sleeping child. If we open our hearts at such moments, creation reveals itself to us in all it’s unity and fullness. And when we return from such a moment of awareness, our hearts long to find some way to capture it in words forever, so that we can remain faithful to it’s higher truth. Aurora: You made me remember how much I had enjoyed some of Orwell’s essays – in particular one about an execution in Burma where he spent some time. Kari: I just started reading Shantaram by Gregory David Roberts. I had to stop by this older thread when I read this passage-I love the description of “the black satin psalm of her hair.” Marvelous description.